Winemaker’s Notes: Deep crimson color. Intense and very expressive nose, dominated by fresh fruit aromas (red currant, raspberry) blended with discreet notes of oak. On the palate, structured, round and easy, nicely oaked with firm but silky tannins and a long, fresh, and fruity finish. My Review: Alright, let’s say we jump right into this one without all the backstory and why I was interested to try it. Suffice it to say, the idea of cold weather reds was thrown out to me, and I don’t know if you’ve noticed, but at the time of my writing this, the high in Raleigh is going to be somewhere below freezing, and parts of the country are colder than parts of Anartica. If ever there was a time for cold weather reds, this was it. In the glass the wine was a nice dark red, and on the nose I picked up notes of fresh fruits. In the mouth the wine was bright and crisp, with a clean finish that didn’t linger longer than was necessary and flavors for fruit that avoided being “too fruity”. The wine was seriously aided by a low alcohol content (12.5% alc/vol), making it very sippable on its own. My wife and I did, in fact, enjoy this one by itself, though I think the bright fruit notes would be a good compliment to some tangy BBQ, or a counter to anything hearty like a stew. 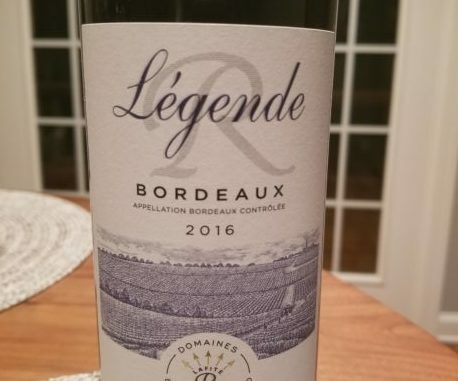 Both my wife and I thought this was a great value at $18; something we’d buy again and keep on hand to pair with food or just to open and sip on while doing chores around the house or catching up on Game of Thrones before the final season this April. Seriously, how excited for this season are we all? !